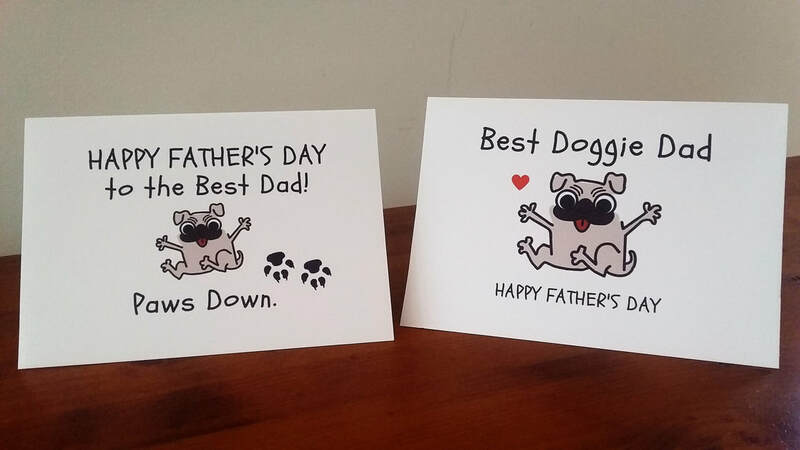 Father's Day is just around the corner on Sunday 3rd September so what do you get for the man in your life who's completely dog obsessed? After the dog of course, is Dad’s car his pride and joy and always a bit anxious about taking the dog for a ride in his new wheels? Is he more the sentimental, outdoorsy type or a wine buff? Here are our suggestions for unique gifts for pet-loving dads (or partners). 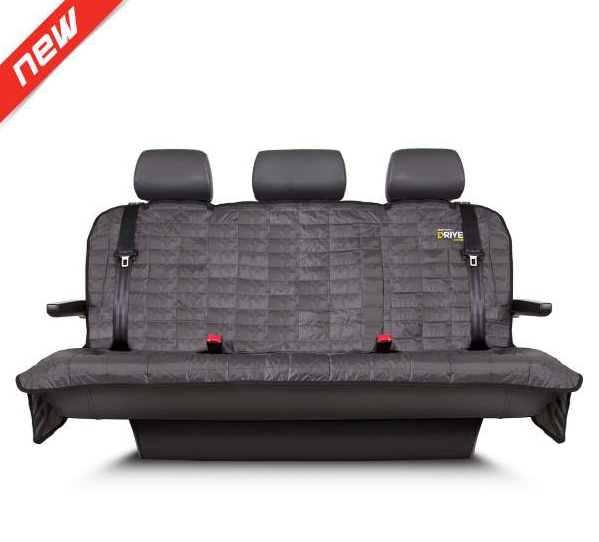 The EzyDog DRIVE™ Bench Car Seat Cover is brand new and the perfect solution for even the most adventurous dog. 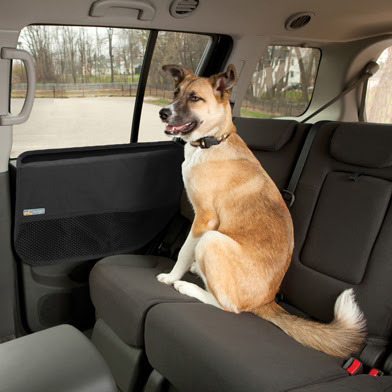 Protect the back seat of your car from dog hair, dirt, mud and everything else that your dog brings in the car! Designed from quilted Ripstop Nylon, the DRIVE™ Cover is both hard wearing and super comfortable. The non-slip base adds stability to the cover, keeping your dog safe and comfortable and most importantly your car seats protected! Finally you can relax whilst your dog is in the car with no more scratches from nails, slobber or even dog fur! Once you have installed these waterproof guards, the interior of your car doors will be protected. These Kurgo car door guards are adjustable (57.5cm to 70cm) to fit small and large vehicles. Easy to fit, they attach with simple tabs that slide between your car window and the door panel. The textured rubber top ensures extra durability if your dog chooses to place their paws on the window edge. The three storage pockets not only serve as a place to keep all your dogs must haves, but conveniently weigh down the door guards to stop any flapping if you both enjoy the windows down. Clean up is as simple as throwing these in the washing machine and hang to dry! 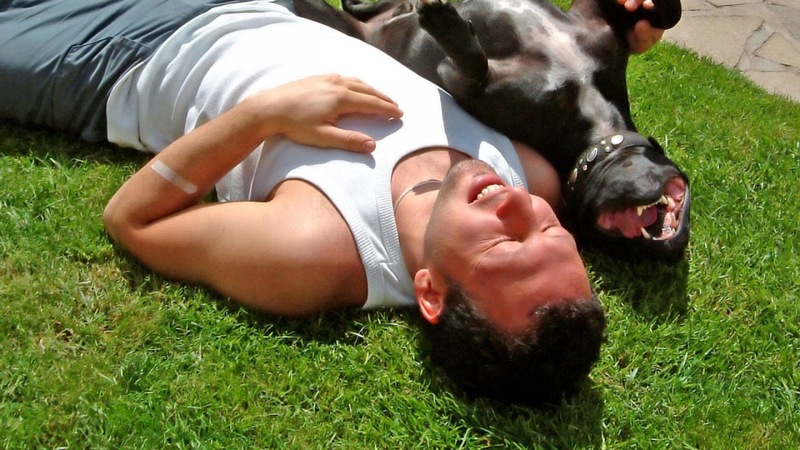 Is your partner dreaming of taking your dog everywhere you go but it’s not always possible? 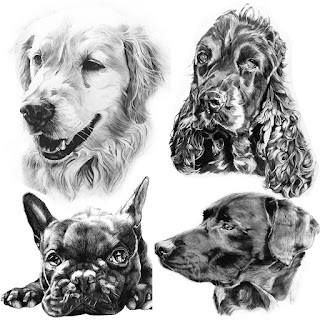 The next best thing may be a unique handcrafted fine silver keepsake from Silver Pet Prints Australia. 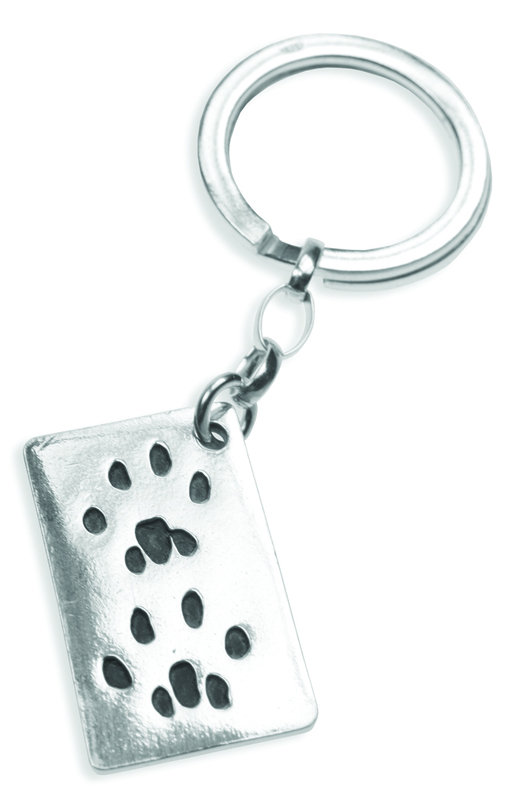 Your dog’s (or cat’s) unique paw prints will be engraved on the front of the keyring with their name on the back. The design featured includes two paw prints on a larger chunkier keyring (2cm x 2cm) but there are also a one and three paw prints options. This keyring comes in many shapes: heart, oval, circle, teardrop, oblong, 2-print oblong or 3-print oblong. Why not immortalise your beloved canine's individuality with a custom pet portrait by Sydney-based designer and illustrator Danielle Fossati? You can select from 4 sizes (A5, A4, A3 and A2) and the quote will vary depending on your request. BOco is an Australian designer of leather accessories celebrating the unique bond between you and your dog. 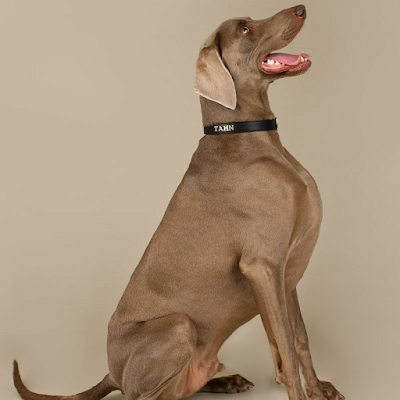 If you love high-quality stylish dog accessories, why not spoil your pooch with a striking designer dog collar with the option of monogramming your dog's name? Made from premium pebbled leather, there are nine beautiful colours to choose from: Rose Quartz, Royal Blue, Baby Blue, Aqua Blue, Indian Tan, Hunter Green, Radiant Orchid, Furever Red and Black. All are sure to look gorgeous with gold or silver hardware, so you can make quite the statement at the dog park! 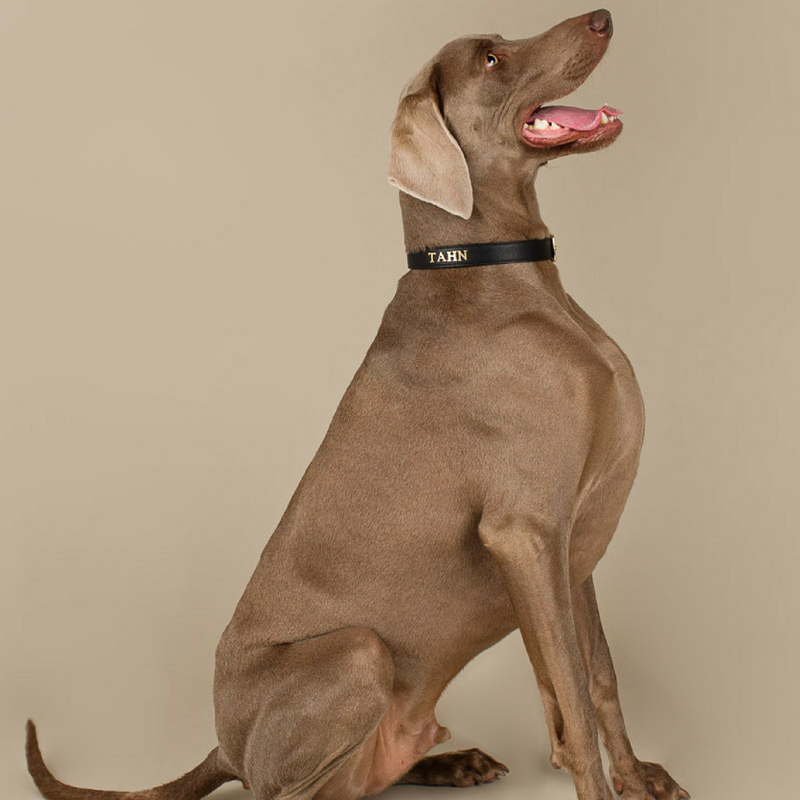 All BOco collars come in four sizes from XS to L to fit any size dog and you can complete the look with a matching leather lead. 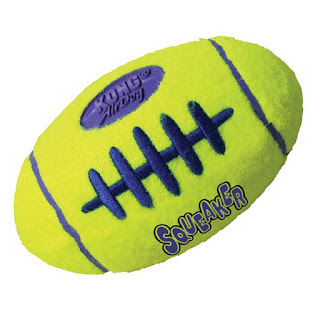 Now your dog can enjoy his very own "footy" with this great toy football made from tennis ball material. Kong AirDog toys are made of natural rubber with a polyester felt fabric cover. All materials are non-toxic and safe for your dog but probably not designed for the active chewer in your life! You dog can run around making it squeak or throwing it in the air and following it bounce all over the place. The embroidered laces provide an easy grip. This dog Football comes in 3 sizes: Small, Medium and Large. If you never miss a footy game and your furry friend is right there with you (on the couch) to watch the action unfold, then you may as well dress the part together! There's even a special collection for the State of Origin series! If your partner enjoys long hikes with the dog, this is the perfect Aussie-made accessory for them any time of the year! Unfurl this puppy and you will have a fully waterproof dog bowl, roll it up and it will fit in your palm. How good is that? The oilskin outer is tough and won’t mind mud. The inside is waterproof PVC to hold in the water. Plus, it features got a strong metal clip to be attached to your dog’s collar or a bag. 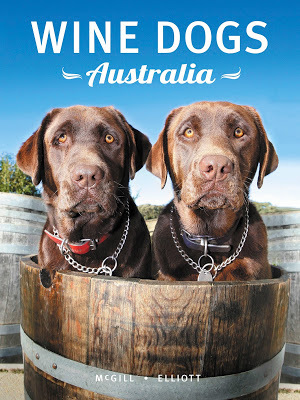 Wine Dogs Australia #4 is a larger coffee-table format, jam-packed with stunning shots and facts about canines among the vines, barrels and tasting rooms from all around Australia. It features over 150 wineries across Australia with stunning photos of their loyal pooches. Observant readers may find an eastern grey kangaroo, a duck, a goat and a pig called Stella among the woofers! Along the way, the mutts and purebreds are interspersed with short essays by Nick Stock, Nick Ryan, Tyson Stelzer, Ben Canaider and many more. Find out which dog is the canine lepidopterist, who 'crop-dusts' the tasting room and discover the identity of infamous McLaren Vale toilet-roll thief. Ruff stolen wine times call for cute doggy measures! This set of six silicone dog wine markers by Fred & Friends is exactly what you need for your next party! 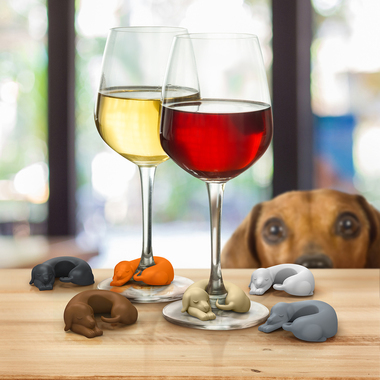 These make a great inexpensive gift for doggy and wine lovers. Want to spend lots of quality time with your dog and get to know their individual personality through fun games? The Dognition Assessment is a series of interactive games to give you a fresh perspective on how your dog sees the world. You'll get an insight into your dog's individual cognitive style — the thinking, learning, and problem-solving strategies that influence his behaviour. 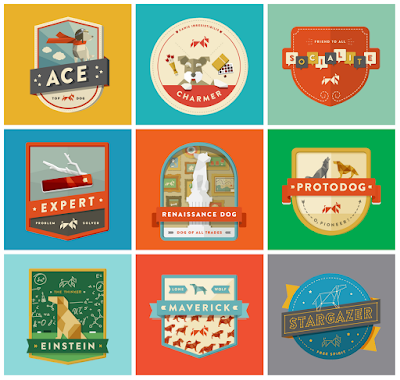 You'll play science-based games that assess five core dimensions of your dog's cognition: empathy, communication, cunning, memory, and reasoning. 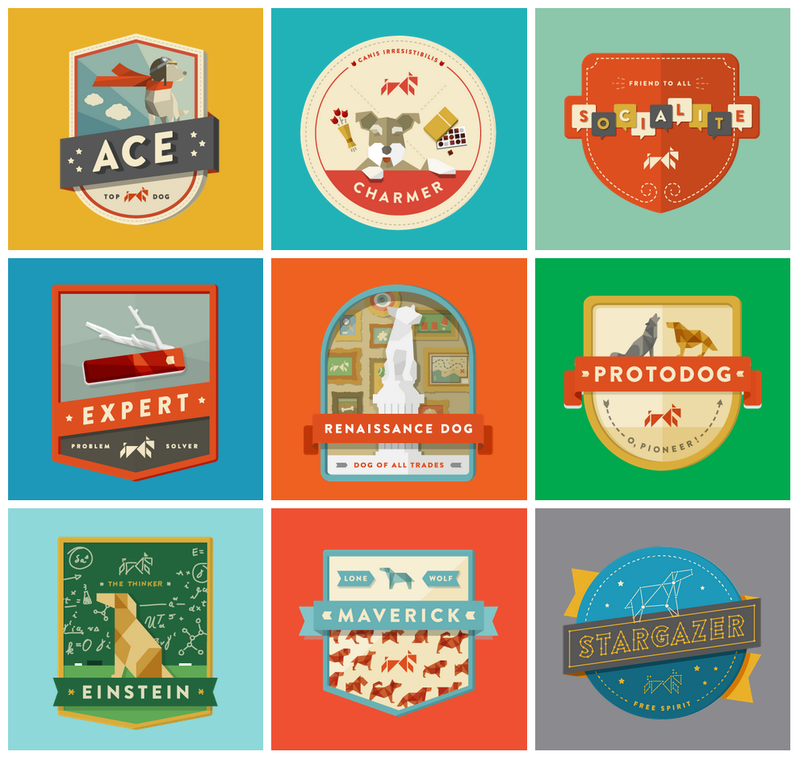 In the final Profile Report, you'll gain a richer understanding of your dog through analysis and insight from the world's top canine experts. 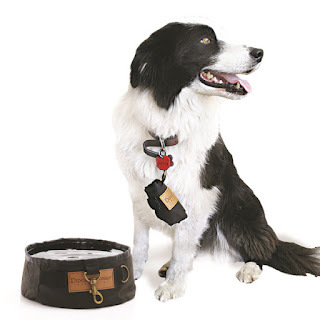 If your partner loves his gadgets, here's a new dog accessory from Dog Gone Smart to keep him amused during your walks! 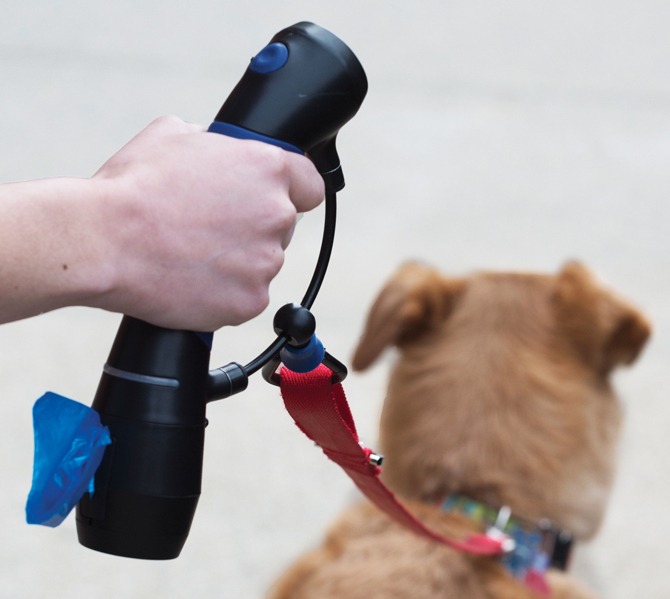 Gismo is an all-in-one connectable dog walking kit with a range of add-on options. You could start with the ergonomic Gismo handle (simply clips onto your dog leash) with bag dispenser or add the Training Kit (clicker and treat holder) or the Flashlight option. If you're still feeling uninspired, why not check our recent "Top 12 Tech Gadgets for Dog Lovers" with lots of other ideas!